Describes how to use Oracle Java Cloud Service to create and manage your WebLogic Server application environment and deploy Java EE applications in the cloud. Describes the known issues for Oracle Java Cloud Service. Provides required notices and applicable licensing information for open source or other separately licensed software products or components that are distributed in Oracle Java Cloud Service. Provides instructions for migrating an existing Oracle Java Cloud Service instance from an Oracle Cloud Infrastructure Classic region to an Oracle Cloud Infrastructure region. Lists and describes all commands that can be run from the CLI utility for Oracle Java Cloud Service, Oracle Database Cloud Service, and Oracle Application Container Cloud Service. 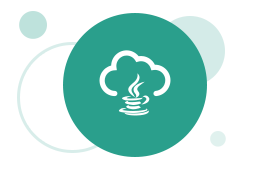 Describes new and noteworthy features in Oracle Java Cloud Service.